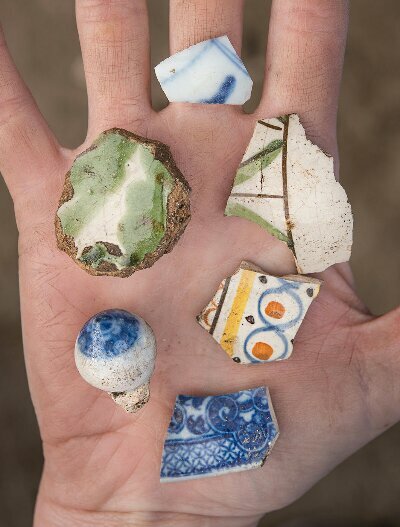 Left is a photo taken of 18th Century pottery found during an archeological dig in St. Augustine, Fla., that included members of an FBI evidence recovery team. The spot was being prepared for new construction, and local laws required an archeological assessment before breaking ground. FBI agents saw the dig as a way to meet training requirements. To see what other goodies they found, click here.